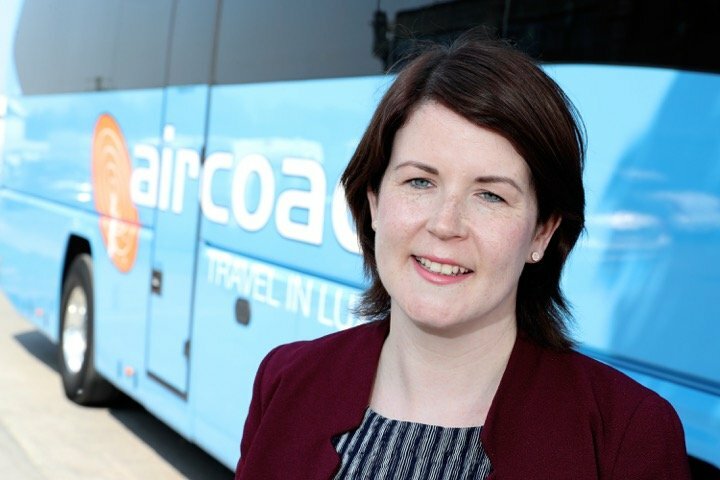 Private bus and coach operator Aircoach, has appointed Donegal native Dervla McKay as the company’s new Managing Director to replace Allen Parker, who has left the position. Award winning Aircoach which provides frequent services between Dublin to the airport, Cork and Belfast, is a subsidiary of First Group which is one of the world’s largest surface transportation companies. Ms. McKay who started in her new role at the beginning of May, initially joined First Group in 2005 as a graduate trainee, and has worked in operational and management roles in England, with her most recent position as Head of Operations for First Hampshire, Dorset & Berkshire. Aircoach provides all car park and shuttle bus services at Dublin Airport under contract to Dublin Airport Authority and is forecasting to carry over 2 million passengers this year on services to and from Dublin City Centre and Dublin Airport.